The average salary is INR 5 lakhs. MHT CET or JEE MAIN is the required exam for the admission. I am currently in my first year and as such have not done any kind of internship, but our seniors who have done their internship had a stipend high of Rs 10,000. 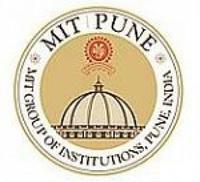 Key companies like Indus towers, airtel, sify, bajaj, etc come to MIT School of Telecom Management, [MITST] Pune to hire students. The average pay package was Rs 4,50,000. The college has a strong alumni network. Admission procedure was pretty easy as there was an aptitude test, followed by Gd and PI. Eligibility Criteria for admission was basically 50% aggregate in 10th, 12th and graduation. I scored 56% in CMAT exam.